Reflect: Identify a challenge or area of improvement in your teaching. Look for cross-sections in your practice that highlight issues not only for you, but for your students as well. Meditate on your method and vigorously interrogate your routines flushing out habits that may actually betray what you believe about learning. Research: Search for hypothetical solutions in published theory, personal experience and the practices of others. Read. Brainstorm. Crowdsource. Rehearse: Tinker meaningfully with your proposed solutions. The time needed to tinker will vary, but field-testing your solution is essential to sustainable success. Recalibrate: After you have tinkered for an appropriate amount of time, fine tune, make adjustments, refine and streamline. It’s unlikely you’ll get it right the first time around. Or, more accurately, it’s unlikely you’ll optimize your solution in the trial: reforms can always be re-formed. 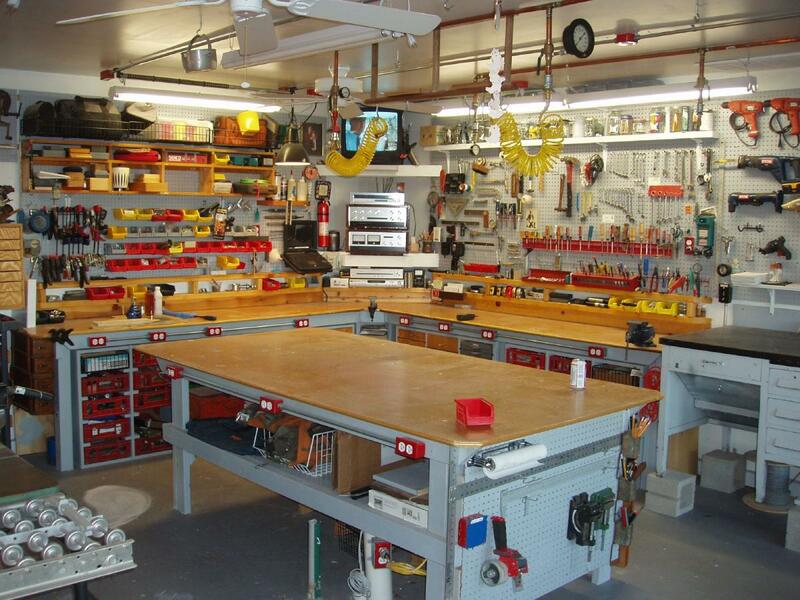 Renovate: Clear the junk out of the garage, install revamped furniture and fixtures and arrange your new tools strategically in order to enhance learning experience for yourself and your students. Repeat: Identify another challenge or area of improvement: summer cleaning is a cycle, not a destination. If you are reading this post at its publication, in June, you’re only positioned to engage with step one: reflect. And that’s where you should start: you want to remodel methodically and meaningfully—no rush jobs and no attempts to tackle twelve problems at a time. Go slow. Be thorough. Reflect: Primarily a History teacher, I firmly believe that rote memorization is not a relevant skill conducive to academic or life success in the 21st Century. Nevertheless, I still work in a school and a system in which students of History are expected to prove their understanding of the subject by recalling memorized content on exit exams like the IB, AP and SAT. So, I still gave occasional multiple-choice quizzes and exams in order to test student content knowledge and to expose them to the characteristics of such assessments. After years of regarding these assessments as a necessary evil, I became committed to finding a stress-free and meaningful replacement for them. Research: By broadcasting my concerns to my Twitter PLN colleagues, I foundMemrise, a language learning website and app that uses positive reinforcement, web design, gamification and spacing, to help learners retain content in their long-term memory in a fun, engaging and stress-free way. I decided to adapt Memrise for historical terminology, dates and events. Rehearse: Over the course of the first semester I tinkered with deadlines, scoring parameters and teacher-created terminology lists vs. student ones. I also actively solicited student feedback on Memrise (overwhelmingly positive—especially in comparison to the stress-inducing multiple choice quizzes and exams) and on establishing standards for using it to assess content knowledge. Responses ran from the self-servingly devious (“1000 points per unit is enough, Mr.T!” –We settled on 35,000 per unit…) to the sincere, (“It’s more work, but it’s better if we create the lists ourselves, Mr. T.”), as expected. Recalibrate: In the second semester, I made adjustments based off of the student feedback, planned out terminology lists, designated who would curate them and established clear standards and timelines ahead of each unit. I also relaxed knowing that students are far less motivated to cut corners or cheat without the threat of failure. And while a peer may be willing to move his exam paper closer to the edge of his desk for a classmate to grab a peek, he is going to be far less willing and far less likely to log into another student’s Memrise account and punch in “spaced” responses for 15 minutes a day. Renovate: I cancelled multiple-choice assessments entirely: no more class time wasted on stressful, and questionably useful, quizzes. No more teacher time wasted on grading such assessments. Student stress levels went down. Student retention levels went up. Everybody had fun. Repeat: My students struggle with developing their essay writing skills. Maybe I can gamify writing instruction and essay review to increase engagement. Where do I start? Some might find focusing on one change per year too slow, but experience has shown me that focusing on replacing bad habits with good ones one at a time ensures significant, sustainable transformation. If you could only pick one, what change would you make this year? Originally posted at the Center for Teaching Quality on 6/29/2015.